Four-Aces is a beautiful fully refurbished 30 ft. Sport Craft Coastal Fisherman. Powered by a 454, it has plenty of power for a smooth and comfortable ride. A comfortable but smaller hard top leaves you with more open area at the back of the boat. Lets face it sportsmen, you cannot cast through windows. 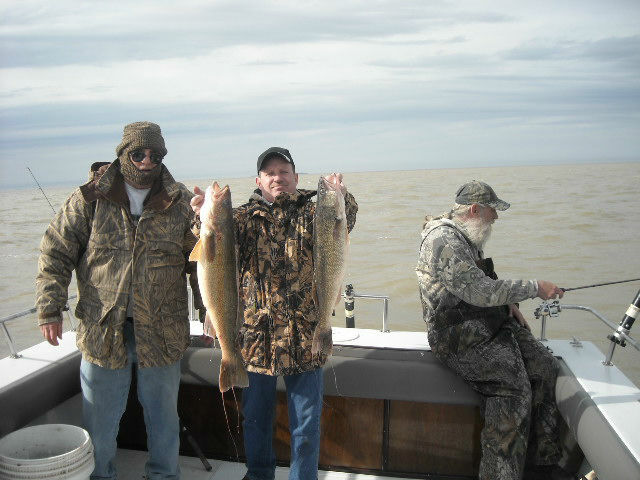 She has a 10 ft. beam which makes for a comfortable ride and good drift fishing. Boats wider than 10' add to the pitch and roll of a rough lake. Info for those of you with weak stomachs. She also has a closed door head (Toilet). 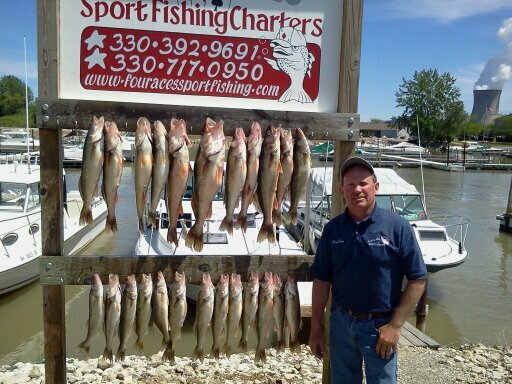 Captain Tom also has access to several boats for multiple same day charters. 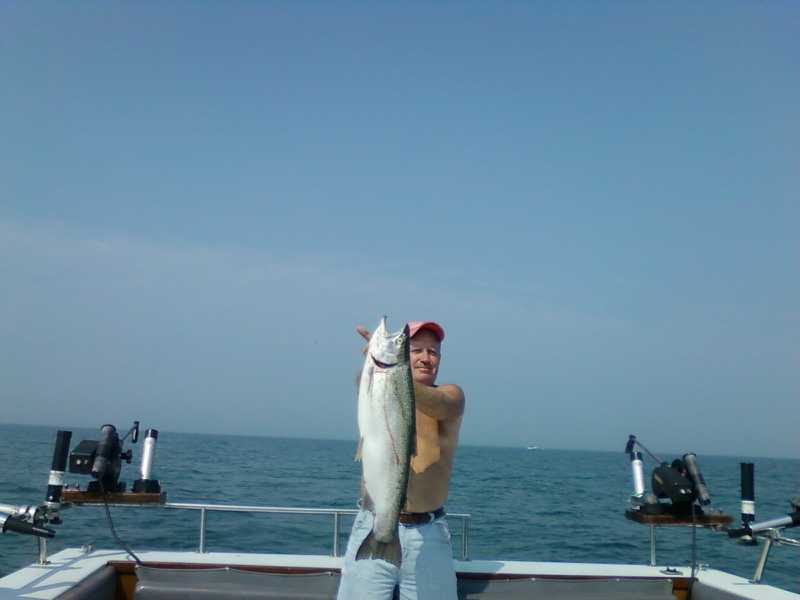 Captain Tom is a well experienced full-time professional charter captain. He runs seven days a week from April 1st through October 15th. 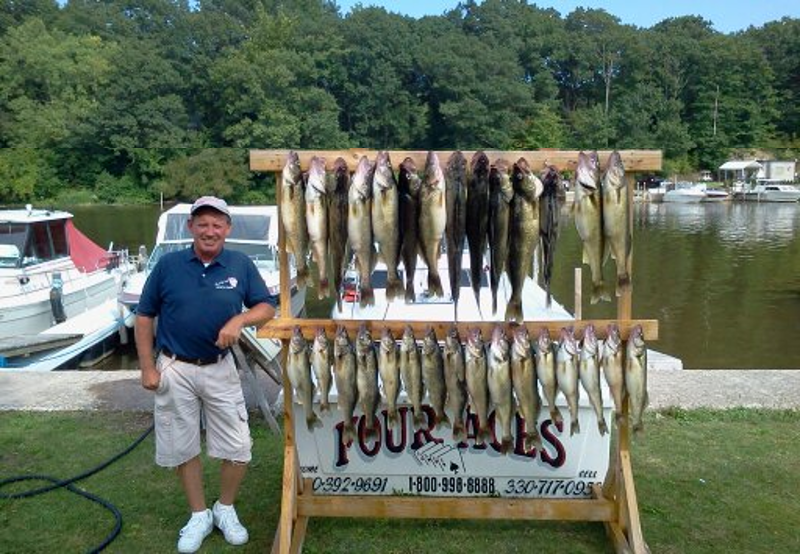 Ashtabula walleye trips, Captain Tom teaches how to run the deck and be a part of the action by feeding lines out, net fish, running down riggers - don't just take a number to reel in your fish. This total involvement ensures a rewarding and memorable day.